Moscow, October 3, Interfax - The Moscow Patriarchate has again expressed its concerns about the support provided to Ukrainian radicals by Greek Catholics (Uniates). “When blood was shed and the first people were killed in the streets of Kiev and other cities of Ukraine, bishops and priests of the Ukrainian Greek Catholic Church called for the escalation of the violence. In a union with various schismatic and pseudo-church structures, they supported and inspires extreme nationalist groups,” Hieromonk Stefan (Igumnov), secretary of the Synodal Department for External Church Relations on Inter-Christian Relations, said in an interview published in the Wednesday edition of the newspaper NG-Religii. 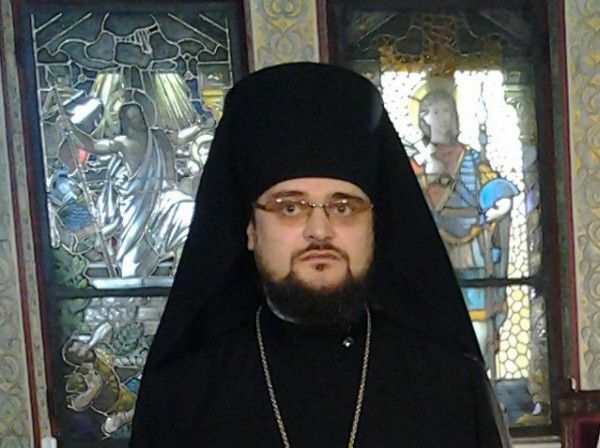 Hieromonk Stefan said representatives of the Ukrainian Greek Catholic Church have often made aggressive statements about the Orthodox Church. “As we know, many Orthodox priests and members of their families have been subjected to violence by nationalists inspires by Uniates and schismatics. The Ukrainian Greek Catholic Church did not stop that aggressive rhetoric even in those days when fragile ceasefire was established in eastern Ukraine,” the priest said. On September 10, the Holy Synod of the Ukrainian Greek Catholic Church issued a statement “directly provoking further escalation of the conflict,” he said. The clergyman said such actions pose a threat to the future of Ukraine and the prospects of development of Orthodox-Catholic relations. “This situation brings to mind the atmosphere of the 1990s, when a tragedy took place in Western Ukraine and in some countries of Eastern Europe when Uniates took advantage of the political changes and began taking over Orthodox churches and persecuting and killing priests. In that period, the relations between the Orthodox ad Catholic Churches experienced a serious crisis and were on the verge of severance,” he said.